Home » » Nigerian Journalist, Ado Ahmad Slumps, Dies On Arrival In US. 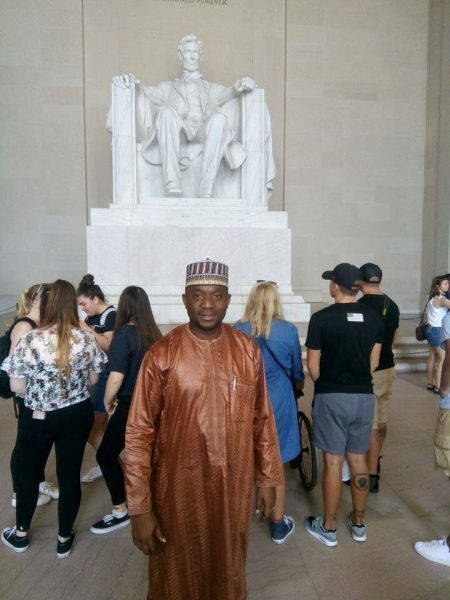 Nigerian Journalist, Ado Ahmad Slumps, Dies On Arrival In US. 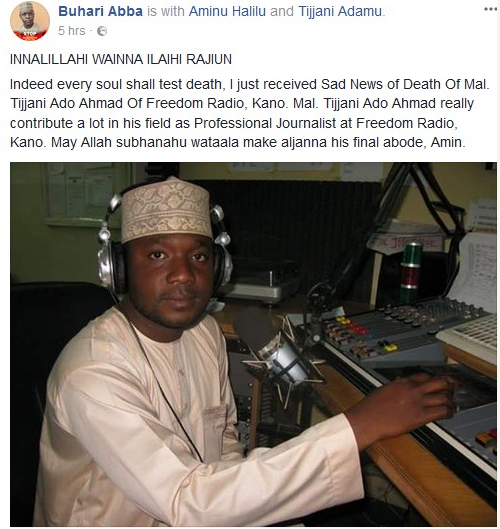 A Nigerian journalist identified as Tijjani Ado Ahmad, has passed away after collapsing earlier today, October 1, in America. 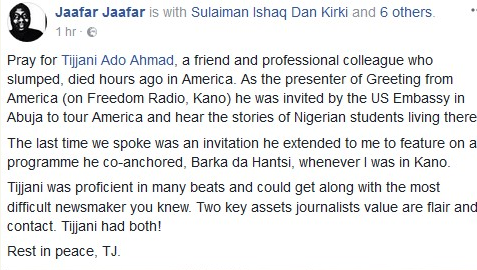 According to his mourning friends and colleagues, Tijjani, who is the presenter of Greeting from America (on Freedom Radio, Kano) was invited by the US Embassy in Abuja to tour America and hear the stories of Nigerian students living there before his sudden death.